Spring Recreational Season: Monroe Baseball offers a number recreational baseball options at different age levels during the spring season. For the current season, these teams will be chartered through Little League®. There may be multiple league options to consider based upon a player's age so please review all the pertinent information completely before registering your child for play. Summer All-Stars: There will be district All-Star teams formed for the 12, 11 and 10 year age groups that will begin play in mid-June. There will also be a 9 year old non-district team formed that will participate in the Monroe Annual 9 Year Old Tournament along with another tournament. Additional information will be provided at a future date regarding All-Star teams. Want To Manage or Coach? The Rookie Baseball League is for boys and girls who want to continue to develop the fundamentals of baseball. Managers and Coaches will pitch to the players until three strikes are pitched. 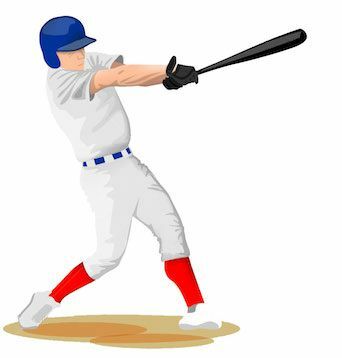 If the player doesn’t make contact, the player will finish their at bat by hitting off a tee. There will be a 20-30 minute instruction session followed by a 30-40 minute game. The primary goal of Rookie is to continue to instruct children in the fundamentals of baseball and to begin to learn the rules of playing the game. Rosters may be composed of between 6-10 players. No scores are kept during the games in this division. No player pitching is permitted in this division. The cost for registering in this league is $215 per player. The A League is for boys and girls who want to continue to develop the fundamentals of baseball. Games will consist of both player picth, coach pitch and spring loaded pitching machine. The games will follow the rules of baseball but with no walks. Game scores are kept but there are no wins, losses or league standings. There are no league playoffs in this division. Rosters may be composed of between 8-12 players. The cost for registering in this league is $225 per player. The AA League is for boys and girls who want to continue to develop the fundamentals of baseball. All players will participate in an evaluation in front of Managers who will organize teams through a draft process. Players will pitch using regular baseball batting count rules meaning batters will be allowed to walk. No base stealing is allowed at this level. Game scores are kept as are wins and losses and league standings. There will be a league playoff following the conclusion of the regular season where a champion will be determined. The cost for registering in this league is $250 per player. The Majors League is considered to be a more competitive division and is more appropriate for higher skill level players. Historically, a significant majority of the pitching in the Majors division is performed by the older players in the league. If you would prefer your child to be declared eligible and considered for participation in the Majors division, proceed to the registration area for the Majors divisions which is the next section below. If your child is not drafted by a Majors division team, your child will become part of the AAA draft pool and will be placed on a AAA team. If you do not want your child to be declared eligible for participation in the Majors division, continue with the registration for the AAA division in this section. New candidates for the AAA division must participate in an evaluation. Players will be notified via e-mail as to the time they should appear and tryout details. Rosters will be organized through a draft process. The cost for registering in this league is $250 per player. The Majors division is considered to be a more competitive division and is more appropriate for higher skill level players. Historically, a significant majority of the pitching in the Majors division is performed by the older players in the league. If you would prefer your child to be declared eligible and considered for participation in the Majors division, proceed to the registration area for the Majors divisions in this section. If your child is not drafted by a Majors division team, your child will become part of the AAA draft pool and will be placed on a AAA team. If you do not want your child to be declared eligible for participation in the Majors division, continue with the registration for the AAA division in the section above. New candidates and returning players for the Majors division must participate in a tryout. Players will be notified via e-mail as to the time they should appear and tryout details. Returning Majors players from last year will be included in the current year draft pool which may result in returning players being on different teams in from last year. Information to be provided at a later date.